I’m bring dessert to a barbeque party tomorrow, so my mom and I made egg tarts! They’re quite tasty and incredibly easy to make (ask me if you want the recipe). They’re also quite popular in China and can be found in many bakeries and pastry shops. The picture below shows two pans of the big ones and one tiny one (partially cut off). We tripled our recipe to make a bunch of them, and ended up with extra stuff but no more cupcake pans… so we also made some tiny ones (apparently we have a tiny cupcake pan too?!). They’re so… tiny, heh…. 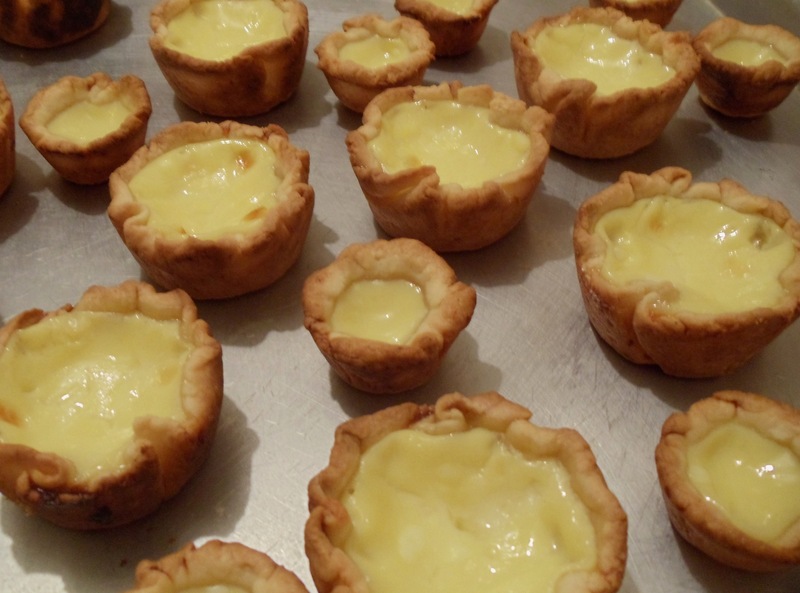 This entry was posted in Food, Personal and tagged baking, egg tarts. Bookmark the permalink.